MediCann is here to make medical cannabis more accessible for patients. One of the ways we are doing that is by clearing up the haze around the myths and realities about medical cannabis. 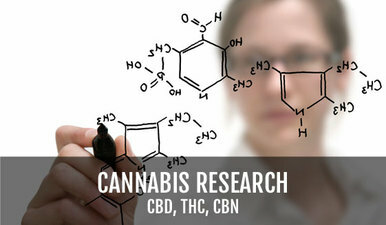 Our information page will feature updated information about emerging research, clinical trial opportunities, manufacturing, and education about medical cannabis and specific health conditions. We know how difficult it is to sort through all the information that is available about medical cannabis. You can count on our team of healthcare professional to make sure everything shared by MediCann is based in science and best practices in medicine. A collaborative effort by MediCann & The CESC to improve the efficacy, safety, and science for the future of medical cannabis. MediCann partners with Researchers and Clinicians to bring you the most up-to-date and reliable medical and scientific information available. MediCann has partnered with the non-profit Clinical Endocannabinoid System Consortium (CESC) to advance the science and medicine behind the impact of medical cannabis on humans. We're supporting a current research effort called the "Dosing Project" to explore the role that the flower form of medical cannabis plays in managing pain and insomnia. Information is gathered for the study using an "app" available free of charge for your handheld device. It's easy, discrete, and will help the CESC research team determine what kinds of cannabis, and how much, is needed to effectively treat pain and insomnia. MediCann's Dr. Talleyrand is contributing to the growing body of medical literature with his recent article in the Society of Internal Medicine's Journal.